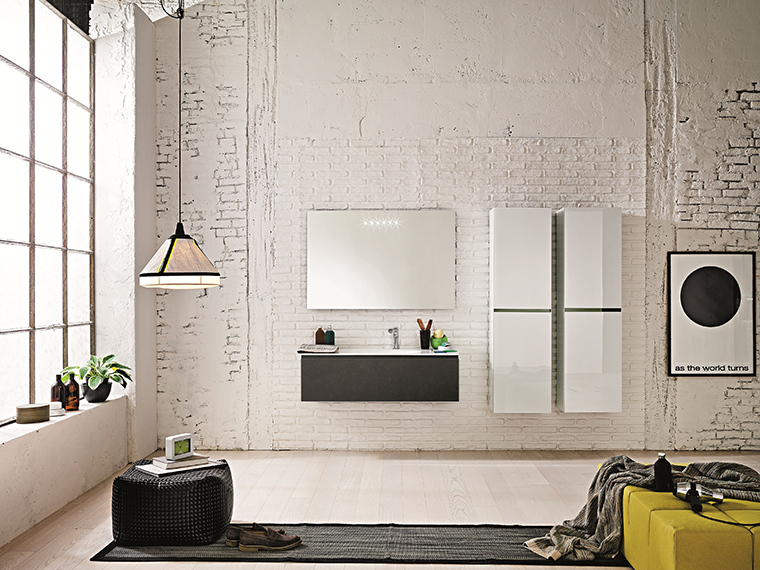 More than ever, the bathroom has become a retreat, a place to find balance and tranquility. The latest trends in decor reflect this impulse, balancing art and science, nature and technology, while embracing the soothing simplicity of minimalism. Behind the scenes lies more high-tech innovation than ever, but unobtrusively and artfully integrated. Earthy materials began a major invasion of bathing spaces in 2015 in such forms as natural stone or wood tiles, marble floors or a walnut-plank feature wall. In the next year, organic materials and shapes will be incorporated in new ways, according to MarikeBoersma, architectural design representative for Cantu Bathrooms and Hardware in Vancouver. Take the now-ubiquitous freestanding bathtub. “The difference is that now they might be made of stone,” Boersma says. “And the newest shapes are derived from nature, soft ovals or even an almond-like shape.” Homeowners with the budget and joist strength can opt for the most luxe and stately versions, carved from solid marble, sandstone or travertine. Less weighty but just as durable are stylish tubs made from crushed minerals mixed with polymers. Boersma says the Waterworks .25 freestanding bathtubs typify the shape of things to come: ovoid beauties sculpted not only to please the eye but also to comfortably fit the contours and length of any body. For the faucets, taps and accessories, it’s also possible to find more options with a natural curve. Foregoing shiny protective coatings is in, too, says Boersma. 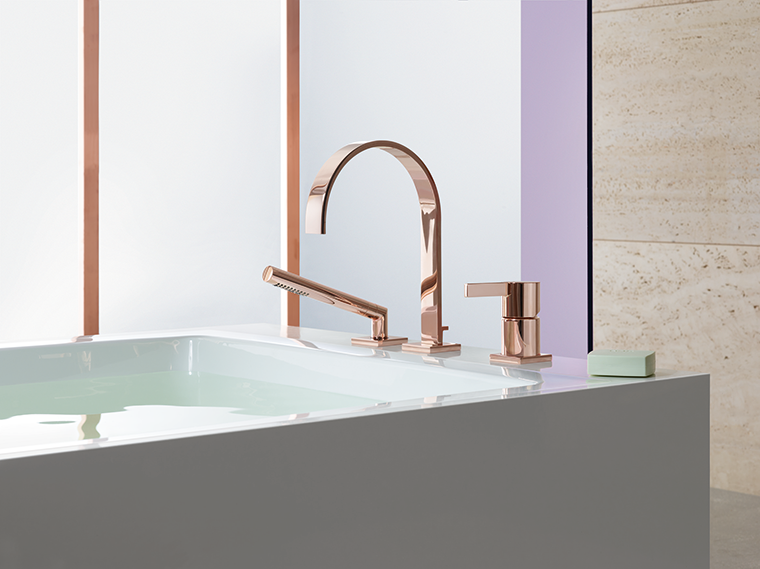 Oil-finished bronze and non-lacquered raw brass finishes are on-trend now, with copper fixtures up-and-coming. The idea is to have what she calls a “living finish,” a material that develops a patina over time, much like marble. And then there’s the rising popularity of the bidet. “There’s no doubt technology is an even more important part of bathroom design,” says Agnes Yuen, who manages Emco’s The Ensuite showrooms in Vancouver and Burnaby. “And in a way that makes using it more hygienic.” Kohler Canada, for instance, now offers three versions of the classic stand-alone bidet in addition to five different seats that add the bidet function to a regular toilet. It also recently launched the Purefresh toilet seat that contains a deodorizing system with a carbon filter and integrated fan to infuse the bathroom with a light, clean scent. “The bigger the better” still holds true when it comes to walk-in showers. Gone is the tiny cubicle, replaced by the threshold-free shower, to create as open a look as possible. “People also want more personalized space within the shower, to have everything at their fingertips,” says Yuen. In-wall storage has grown beyond the niche to include moveable shelves, integrated hooks or baskets. Shower wall or floating shelves might hold soap, razors or bottles, and a place for the loofah. An array of personal touches can be found throughout the bathroom. Towel warmers, aromatherapy pumps and colour-changing lights activated by a smartphone app – it all means the hammam is coming home, says Natalie Hess, president of Nortesco, a distributor of designer brands for bathrooms and kitchens. It’s not all organic shapes and soothing colour schemes, either. Some homeowners find a minimalist bathroom takes on new energy with a pop-art jolt of colour on the handles of a chrome faucet. 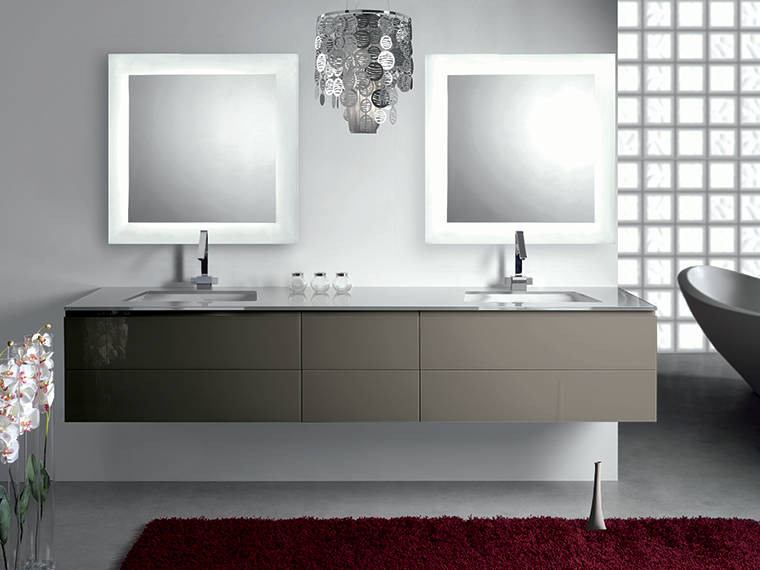 Or, the doors of a wall-hung vanity might be coldly emblazoned with a high-gloss finish in bold, bright and unexpected hues. 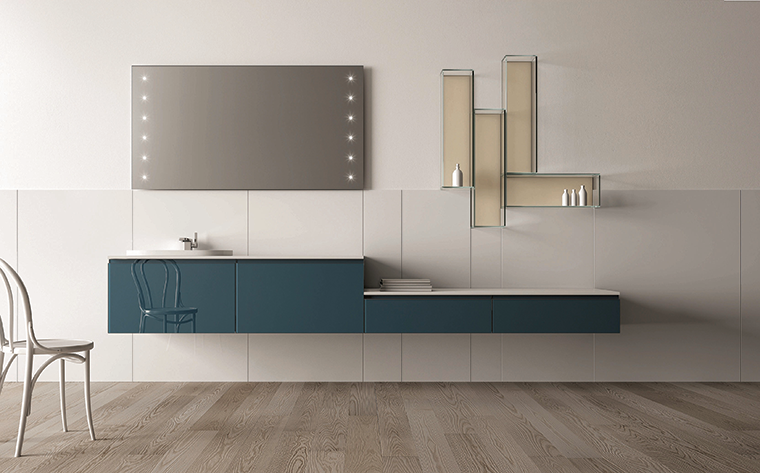 Hess says her company now distributes vanities in more than 72 colours, including the deep and vibrant blues that are now so trendy, and lipstick red. “People don’t seem to be so afraid of experimenting,” she says.